Home cooking at its finest. 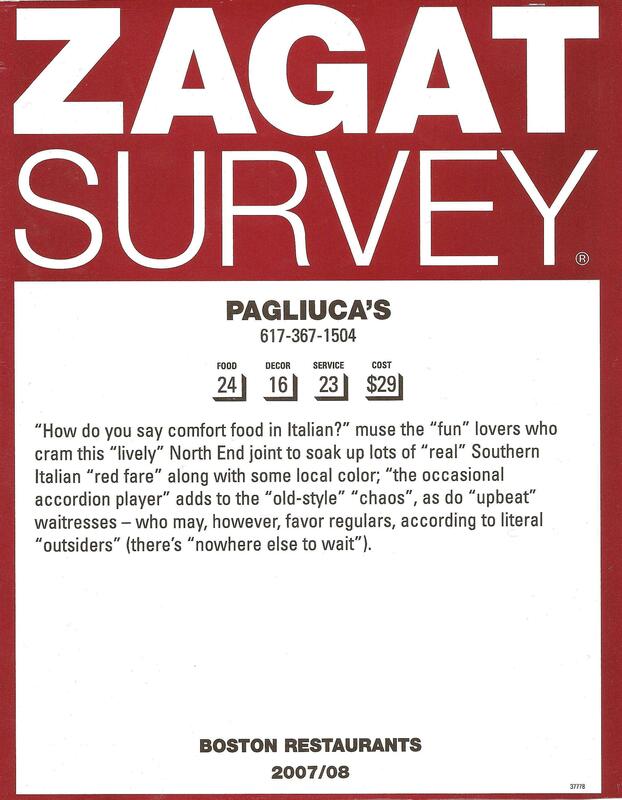 Welcome to Frateli Pagliuca’s Restaurant, family owned and operated for decades. Home cooking at its finest. The Pagliuca Family raised in Montefalcione Avellino came to this country bringing old Italian recipes from the homeland, pasta to meat entrées such as Chicken Campagna (meaning on the farm, boneless breast of chicken sautéed with potatoes, peppers, mushrooms and onions), very homey and tasty. All of our dishes are prepared to order – worth waiting for … Enjoy! Pagliuca’s has expanded with a private dining room downstairs, wine-beer & cordial cocktails Bar and two HDTVs . Large parties are now welcome for Holiday season, birthday parties and business functions.